Games these days tend to have huge install sizes, don't they? Red Dead Redemption 2 is famously big, taking up about 100GB of your precious hard drive space. However, it isn't alone; many modern releases are easily north of 50GB, and when you consider PlayStation 4 launched with 500GB of space, it's becoming a bit of an issue. It's refreshing, then, when a major release manages to squeeze down to a comparably puny file size. 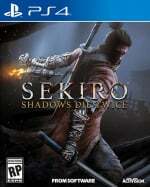 Case in point, Sekiro: Shadows Die Twice, From Software's Japan-themed action adventure due in just a couple of days. According to a user on Reddit who appears to have their copy early, the title will only take up about 12.5GB. A 3.6GB day one patch increases that, obviously, but the game's total size still comes in at a fraction of its peers. An impressive feat indeed. Having said that, From Software is usually pretty good for this. Dark Souls III requires 18GB, while Bloodborne is a little bigger at 27GB. A downward trend, then, but that's a positive for those struggling to make room. We suppose if Sony follows Google Stadia's lead, you won't need to worry about filling your PS5 up. What do you think of Sekiro's file size? Do you wish games could keep the data to a minimum? Download your comments below. Was it really needed to reference that google thing again? No it won't follow that lead any time soon. Back on topic:maybe from software are just better at compression? I mean I'm pretty sure that in a lot of games the sizes could have been smaller if they just made the effort to compress the files a bit better. It's very likely a matter of assets - I'm not sure of the scope of Sekiro - but RDR2 is huge with a decent amount of asset variety. Still, 15GB is impressive - I wonder how heavily the game streams (sorry @jdv95) from the disc. I really hope that the next-generation home consoles use SSD. Developers can then go back to using this thing called compression without taking a significant hit in load times. Also can't understand what Google has to do with this! Have we become push Google all of a sudden? Data storage is cheap as chips, so I don't consider it an issue. And why would you want to have a million different games installed at the same time anyway? 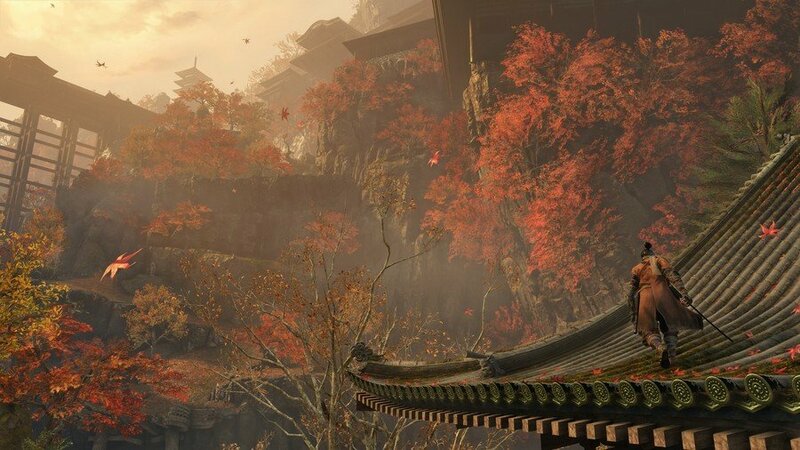 I don wonder about SEKIRO's small data size. Makes me wonder, where is the compromise? And how will it show up in the game? @Dubya75 There's no compromise. With good compression and file optimisation, you can get rid of most of the unnecessary data in a game file. Many companies just leave it in, it's just filler they used during development but got replaced at some point. And all of that adds up in the final product. But it takes time and resources to optimise the data file size, and that's the reason why most just skip it. As long as it fits on a blu-ray, they're fine with it. That's why a lot of games are in the 45-50GB range. The only thing I wonder about it the day one patch. It's likely that it'll replace a chunk of code, but I wonder how much it'll affect the game. I usually just squeeze my ps4 really hard as the game is downloading to shrink it's file size. Click bate title = more aggressive setting on adBlock Plus. Well this has been on the game page on the PS Store for some time now, it was so small I felt it was just a placeholder size for the meantime. I'm quite surprised it's the final. Gonna be a great game but I don't think I'm ready to spend 60 pounds right now. The atmosphere is as artistic as ever from FROM. Wow aren't we all happy today? @suikoden @playstation1995 @jdv95 What does this story have to do with Google's Strada... um, Swada, no, Statia... Satya, STD... damn, can't remember the damn name... anyway, to answer your question - one acronym for you my friends: SEO - we need some search results to bring new eyes to our good old PushSquare. Bravo on Mini Ninjas. I loved that game. One of my first platinum trophies too! @Neolit I'm changing the world here. They'll see a £0.00001 loss because of me. But seriously it is annoying to see the click bait caricature on PS or NL. Depending on the reviews tomorrow morning, I might be picking this one up at some point. Just need to see what the difficulty levels and checkpoints are like first! Props to From for actually bothering to optimize s*** then. I seriously doubt many of those 80+ GB games couldn't be downsized big time, if the developers actually tried. not interested in the game personally, but that's a pretty reasonable size, i've loads of games that have had more data added in patches than that. my external hdd suffered read failure a coupleof days ago, so i've just lost almost 2Tb of games.. this is the third external hdd i've have had fail, though this time i blame the PS4. i've had all sorts of problems with the console shutting down (flashing white light for 15+ minutes), saying the drive wasn't disconnected properly and having to repair it, not recognising it on start-up, etc.. i don't think i'll bother with an external drive again. i only used it to move stuff to and from the internal drive, i always play directly off the internal drive. @Rob_230 - mini ninjas was really good fun! one of the trophies glitched on me and i couldn't get the platinum. You know, I was gonna skip this, since I'm not a Soulsborne fan, but if Ghost of Tsushima doesn't show up this year, I'll probably get it. From Software, please make a presentation to other Game Devs to show them how to do this. 12.5GB?! Hot damn! I thought it would've been around 30GB. Glad to see it's way less. Japanese Devs usually keep the data volume small I've noticed.